At Lone Pine Koala Sanctuary, we believe strongly in making scientific, fact-based decisions and connecting our guests with the fascinating world of koala science and research. Our ‘Brisbane Koala Science Institute’, constructed in collaboration with the Brisbane City Council, helps the us achieve just this. For the next three years the Institute will be home to two full-time research staff, including University of the Sunshine Coast PhD student and veterinarian, Amy Robbins. Amy’s research focusses on trying to understand why some koalas develop “severe” disease when they’re infected with Chlamydia, which is a major threat to our declining northern wild koalas populations, including the role genetics plays. “Working with Endeavour Veterinary Ecology for the last four years managing a koala population in the Moreton Bay Region, I’ve seen first-hand the debilitating effects Chlamydia can have on koalas”, says Amy. “It not only significantly impacts the health and welfare of the diseased individual, but also threatens the conservation of the species”. 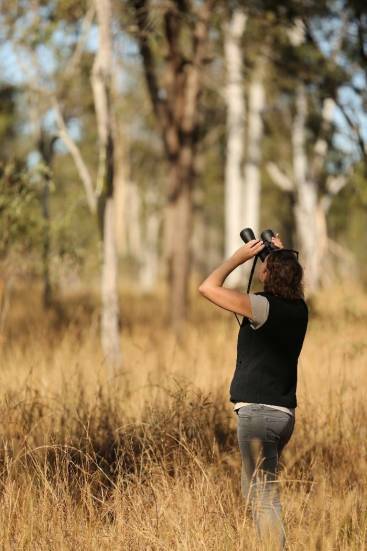 Amy’s work will contribute to improved conservation management plans for koalas across the region, including further refinement of the koala Chlamydia vaccine – a project which Lone Pine has been heavily involved in for a number of years in conjunction with the University of the Sunshine Coast. In addition, our new ‘Koala Biobank’ – a 1500-litre, ultra-low temperature, koala sample repository – will play a vital role in future koala research projects and preservation of the species. When next visiting Lone Pine Koala Sanctuary, be sure to check out the Brisbane Koala Science Institute, for a chance to see some of Amy’s vital koala research work in progress. The Institute is open daily from 9am-5pm, with access included with entry to the sanctuary. To learn more about koala research and the Brisbane Koala Science Institute, visit our research website www.koala.org.